Fianna Fáil proposed legislation will call for a crackdown on those convicted of assaulting or threatening an emergency worker in the line of duty. There are 800 assaults every year on members of the gardaí according to Dara Calleary. FIANNA FÁIL IS to propose a minimum jail term of five years for anyone convicted of assaulting or threatening the life of an emergency worker on duty. 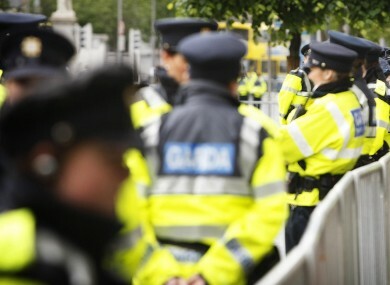 The legislation – the Assaults on Emergency Workers Bill 2012 – will be tabled in the Dáil for debate this morning as the first Friday sitting of the new term gets under way. Friday sittings allow opposition parties and backbench TDs to table legislation for debate and today’s bill is being tabled by the Fianna Fáil spokesperson on enterprise Dara Calleary who held the justice portfolio until July. “I believe that anyone who threatens, assaults or causes harm to an on-duty garda, fireman, ambulance worker, nurse or prison officer should feel the full rigour of the law,” the Mayo TD said in a statement. Calleary pointed to figures from the Garda Representative Association which show that there are 800 assaults every year on members of the gardaí alone and he said that they were not the only ones at risk. He continued: “Nurses, members of the fire service and ambulance workers are also at high risk of attack. The debate gets under way in the Dáil at 10.30am and you can watch it live here. Email “Dáil to debate five year jail terms for assaults on emergency workers ”. Feedback on “Dáil to debate five year jail terms for assaults on emergency workers ”.